Zinc Magnesium Aspartate has a unique and well-known combination of key vitamins and minerals that can help to increase testosterone levels. Even more important than that is the ability of this synergistic blend to increase the rate at which you recover from intense activity, and it does so while you sleep, compounding your body’s natural recuperative rhythms. 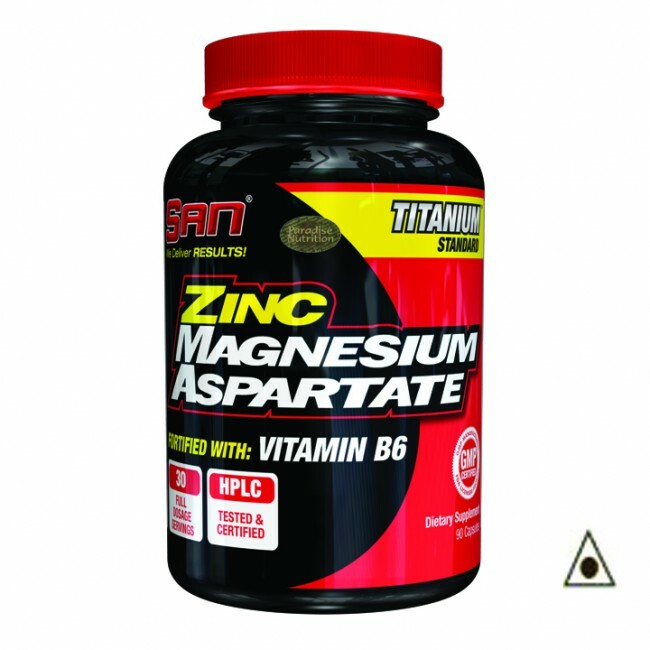 The zinc in Zinc Magnesium Aspartate plays a key role in cellular growth and tissue repair, so it helps to rebuild muscle after exercise-induced damage. The specific blend of magnesium is known for its essential role in ATP production, muscular contraction and the maintenance of proper electrolyte balance. This means it can increase energy production and strength while aiding in hydration, an important part of cellular expansion and growth. Vitamin B6 is the last part of this recovery trifecta, as it enhances the absorption of zinc and magnesium, providing maximized utilization. Zinc Magnesium Aspartate is a synergistic combination of vitamins and minerals with a proven record of increasing performance, tissue repair and hormone production. It is best to take your dose 30-60 minutes before bedtime. For optimal results, avoid taking Zinc Magnesium Aspartate with food or supplements containing calcium.